This is the second time that I’ve flown with Norwegian to sample their long-haul product, to check out the previous review from New York to Oslo back in 2013 click here. The last time that I flew with Norwegian, I found the meals lacked quality, however as you will soon read there’s been a HUGE improvement. This review is just about the meals only; it’s quite difficult to review inflight service when an airline knows that you’re onboard the flight, I observed the crew interacting with other passengers and found them to be extremely polite and caring. 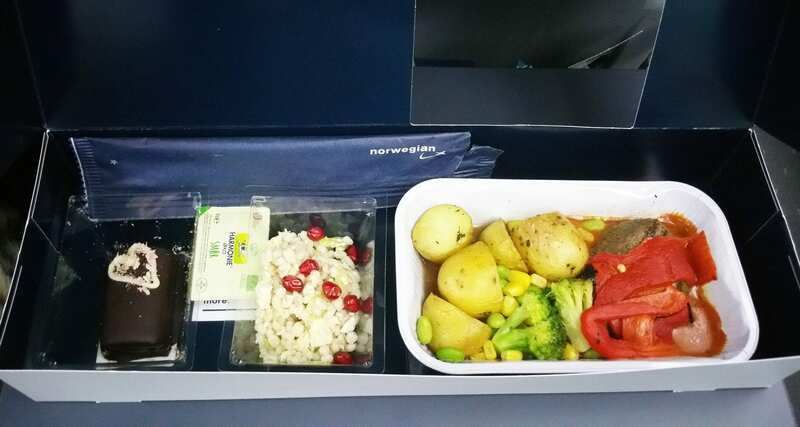 Norwegian do not offer any free meals in economy class, at the time of booking your ticket you may also add bags/seats and meals at varying prices. Passengers travelling in premium economy class do have meals included. If you forget to add meals when booking your ticket, you may add meals up to 72 hours before departure right here. 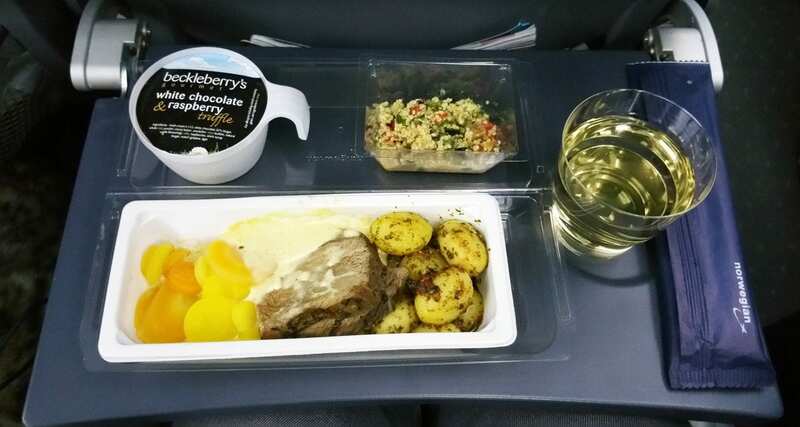 As you can see the economy class meal tray is quite basic, made of clear plastic and holds a three-course meal; salad, main and pre-packaged dessert. 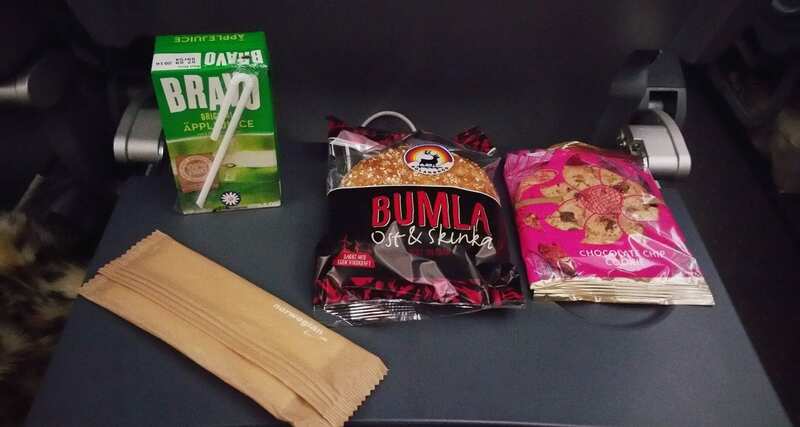 You’re free to choose any drink to accompany your meal, and on longer flights, they will serve a second service meal such as the below breakfast offering. Meal 1- Roast beef served with creamy pepper sauce, marinated potatoes and carrots, grilled vegetables with Quinoa salad and white chocolate and raspberry truffle dessert. Meal 2 – Chicken fillet served with chilli onion sauce with rice and vegetables, same dessert and salad as above. Meal 3- Breakfast served before landing in Bangkok, ham and cheese sandwich, chocolate chip cookie and apple juice. Even though I was sitting in economy class, I was lucky enough to get a taste of what’s served beyond the curtain in premium economy class. 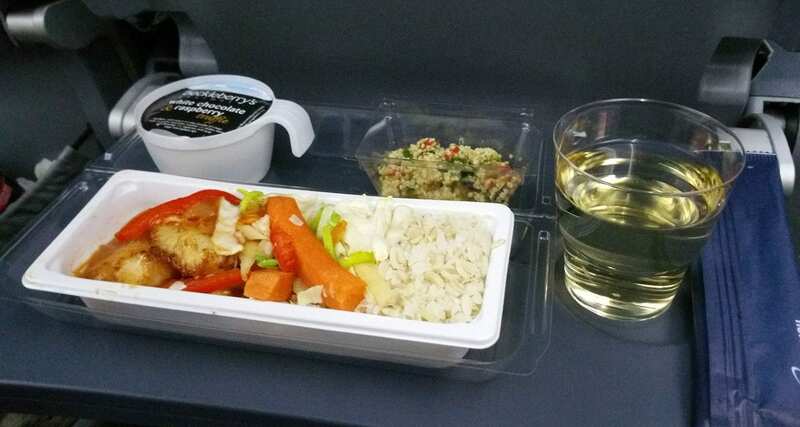 These meals are served in a box instead of the see-through plastic tray that they use in economy class, and there are a few small touches. Meal 1 – Wheat kernel salad with pomegranate, grilled beef top fillet with choron sauce, roasted potatoes, oven-baked peppers, and vegetables. For dessert, a handmade truffle rhubarb praline that is sourced locally. Meal 2 – Fish served with hollandaise sauce, potato, sugar snaps and carrots. For the record, I purchased my ticket from Oslo to Bangkok with Norwegian Air. However, the airline knew that I was onboard the flight and provided a range of meals for me to taste test. We eat with our eyes so while the presentation in economy class and even premium economy class could be better, the meals did taste good, not great. 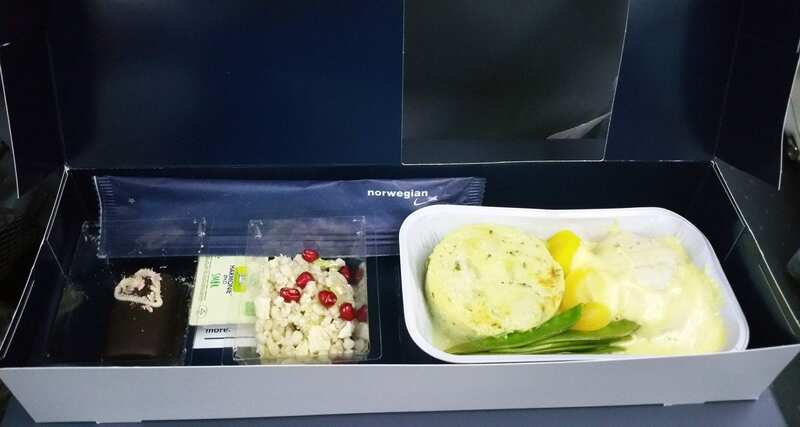 Norwegian meals are pricey; the prices are similar to what you will pay on other low-cost airlines. It’s sometimes hard to part with over EUR35 for a few meals, especially when you look at what you receive in return for your outlay. The roast beef economy class dish was tender, while the chicken was succulent and the flavour combinations just right. The grilled beef from premium economy was a great dish with an array of flavours, and while I’m not a big fish fan this dish was creamy and tasty, and the handmade praline was a nice touch. Breakfast was a little simple. A big thanks to the inflight service team at Norwegian for arranging all the meal tastings for this flight.